Przewalski's horse, now numbering roughly 2,000 in Mongolia, was long thought to be the last wild horse meaning no history of domestication, unlike other free-roaming horses like the mustangs of the western United States that descended from steeds brought to North America centuries ago by Spaniards. 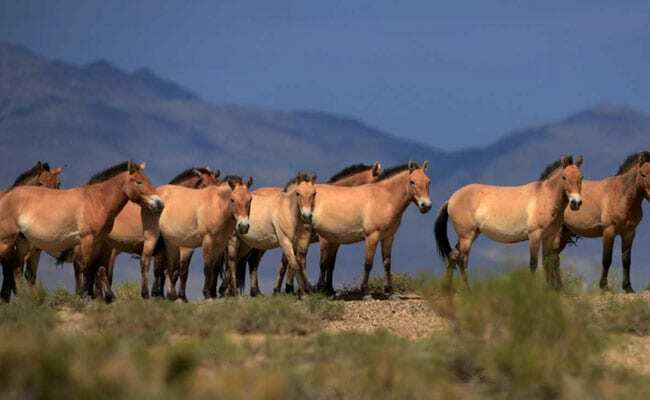 WASHINGTON: It may come as a disappointment to equine enthusiasts, but a new genetic study has found that no truly wild horses still exist and that a population inhabiting Mongolian grasslands actually is a feral descendant of the earliest-known domesticated horses. But researchers said on Thursday an examination of the genomes of dozens of ancient and modern horses concluded that Przewalski's horse, saved from extinction in the 20th century, descended from horses domesticated in northern Kazakhstan some 5,500 years ago by people in what is called the Botai culture. The research showed that the Botai culture offers the earliest-known evidence for horse domestication, but that their horses were not the ancestors of modern domesticated breeds. 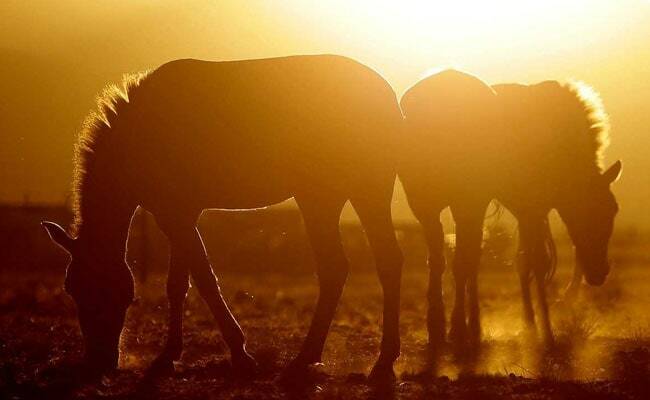 "The world lost truly wild horses perhaps hundreds, if not thousands of years ago, but we are only just now learning this fact, with the results of this research," said University of Kansas zoo archaeologist Sandra Olsen, one of the researchers. The history of people and horses has been intertwined for millennia. "Horse domestication was a critical innovation," said archaeologist Alan Outram of the University of Exeter in England, who helped lead the study. "Horse riding was the fastest form of transport for thousands of years, from the Copper Age over 5,000 years ago until the steam train. Even then it was really only the motor car that replaced it on a wide scale. Horses revolutionized human mobility, trade and modes of warfare," Outram added. Przewalski's horse, named for a Russian who described them in the 19th century, is relatively small and stocky. Like horses depicted in prehistoric cave paintings, it is dun-colored with a dark erect mane. The current population is descended from 15 individuals caught a century ago, with Przewalski's horse later reintroduced into the wild. Some horses from the domesticated Botai herds escaped and became the feral Przewalski's horse, the researchers said. "This means that we must continue the search for the true ancestors of modern breeds by gathering samples from places like Ukraine, western Russia, Hungary, Poland and that region," Olsen added.